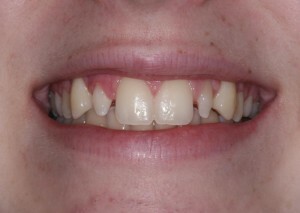 Often patients have their teeth properly aligned and fitted with orthodontic braces. For some the shapes and sizes of the teeth can be irregular and even though the orthodontist has done a wonderful job correcting the crooked, crowded teeth there remains an esthetic dilemma that braces cannot correct. 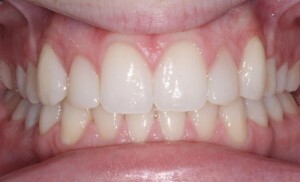 Sometimes after braces sculpting the teeth with cosmetic restorations can create dramatic finishing touches.